So I’m about to do something really stupid. Actually, I’ve already done it. I did it this morning, and have been hemming and hawing about what language to use in describing it ever since. As some of you may know, I write books. I write a lot of things, actually, but books have always been my calling. For as long as I can remember, the knowledge that people get paid to write books defined my life choices. A little over six months ago, my first full-length novel Homefront released in both hardcover and e-book. It’s been a crazy 200-ish days since then, but hands down the best parts were reading the book aloud to a live audience, having people buy copies to take home, and then signing them. So you know what? I’m doing it again. And just like the first paragraph says, I’ve done it already. 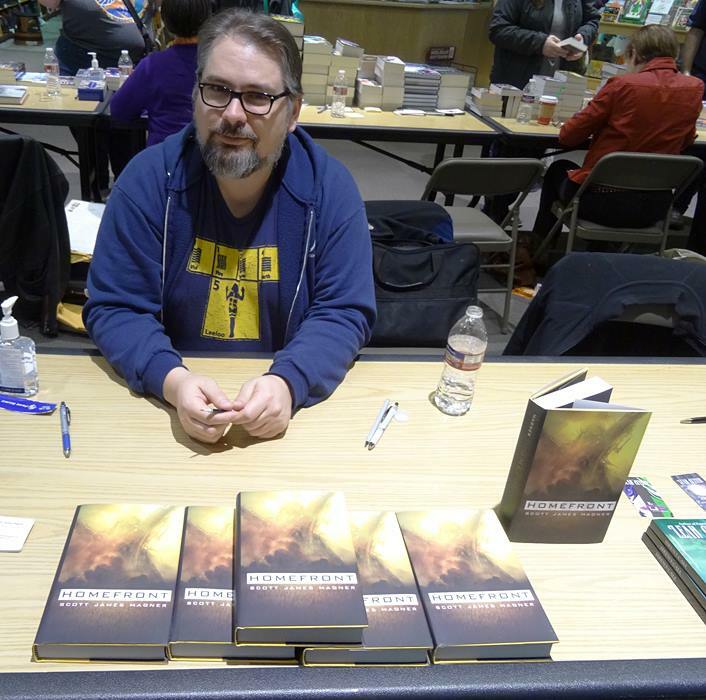 While Homefront is my first published novel, in truth it was preceded by a few shorter works, including a serialization of my actual first novel, Seasons of Truth. I had the grand idea that if I released myself it in four sections, activated my social network(s), and used my winning smile it would build up a following, write my name in the stars, and catapult me to literary stardom. What it actually did was enroll me in a master course on self-publishing do’s and dont’s. I did a lot of things wrong in 2014, but engaging professional editors and artists, talking to bookmakers, publishers, readers, and salespersons weren’t among them. And as soon as I held a physical copy of Homefront in my hands, I had to have one for Seasons of Truth. Roberto Calas has done a fantastic job in taking my original vision and turning it into a dazzling shelf-stopper. The Editing McKennas helped me craft the words inside into something I’m proud of, and very soon you’ll be able to put your very own copy(-ies?) of Seasons of Truth on the shelf alongside your Homefront(s?). But I’m not giving up on the e-books I’ve already released, not by a long shot. I’m very proud of those and who they turned out, even if they haven’t been the runaway success I’d hoped for. So starting tomorrow (April 27, 2015) I’m going to set my money on fire, and start giving them away. There are four weeks left in the exclusivity period I have with amazon.com. There are also four seasons in a year, and four e-books with both my names and Seasons of Truth on their covers. Each one is eligible for a 5 day free giveaway, so if you think you can read a book a week, I’m going to give you one. And at these prices, you can’t afford NOT to pick them up. 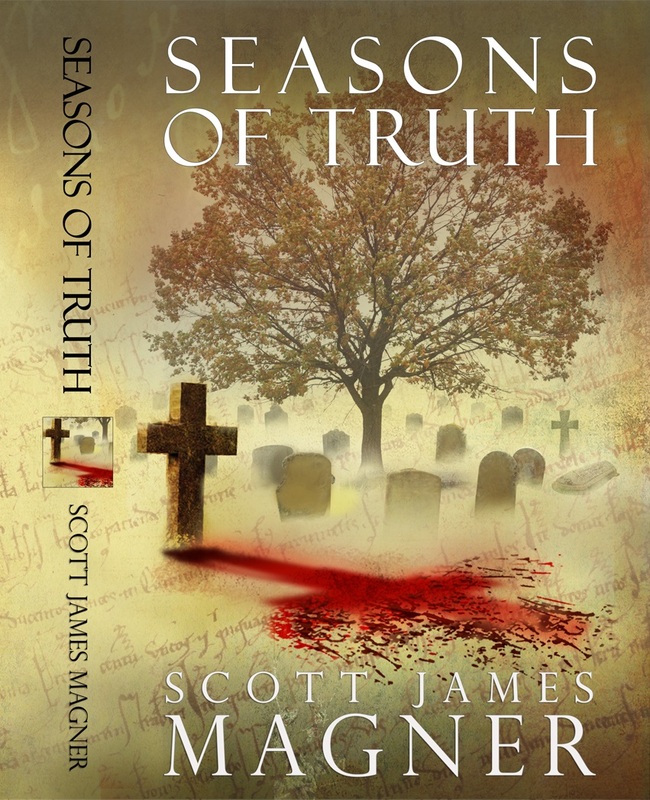 The collected edition of Seasons of Truth will hit digital shelves on May 26th, with the print edition either releasing the same day or soon thereafter. I’m in the final stages of proofing both now, and I’ll have a lot more news about this project, and my next ones, in the weeks to come. 16 Responses to "Of Books, Birthdays, And Business As Usual"
Great news! Homefront is definitely looking forward to having company on the shelf! Also hope the giveaways find you and the rest of your works new readers. Seth Johnson liked this on Facebook. Tamara Wake-Seward liked this on Facebook. Mark Teppo liked this on Facebook. Philip G Lewis IV liked this on Facebook. Dave Bara liked this on Facebook. Marti McKenna liked this on Facebook. George DePree liked this on Facebook. Kerry Scott liked this on Facebook. Karen Magner liked this on Facebook.